Come experience the Joy of the beautiful Smoky Mountains in this cozy one-bedroom cabin. 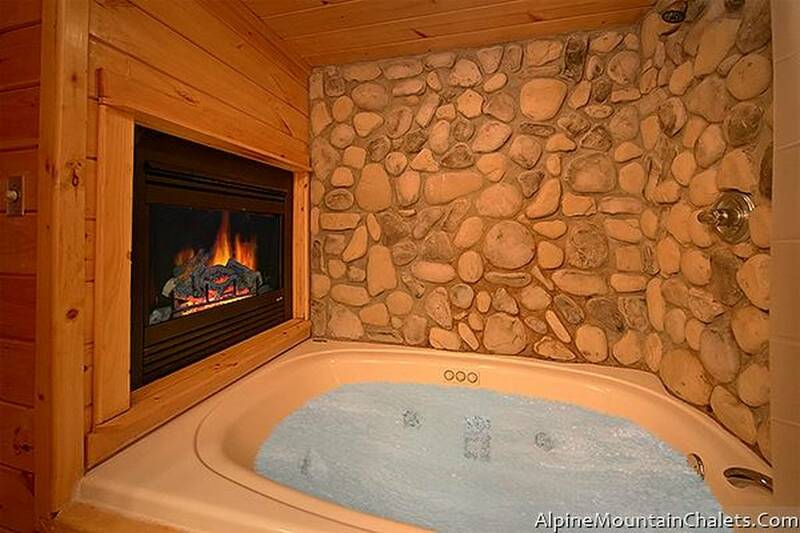 Mountain Joy is a newer log cabin, nestled in the foothills of the Misty Hollow Resort. Experience the feeling of a true mountain cabin. Perfect for a romantic getaway or honeymoon, Mountain Joy is very private but yet only 6 miles from the Parkway in Pigeon Forge and 2 miles from the Arts and Craft Community of Gatlinburg. Upon arriving, walk up the steps and into this beautifully appointed cabin, complete with a fully equipped kitchen, charcoal grill and dining area. The living room boasts a stone fireplace along with ceiling to floor windows to take in the sights and sounds of nature. The master suite has its own bathroom with a Jacuzzi tub. An open loft game room with a full size pool table and day bed for maximum sleeping. Take in the wooded views on the deck or relax after a day of shopping and sightseeing in the covered hot tub. Your vacation is sure to bring you such joy; you'll want to come back year after year. Conveniently located just minutes away from The Great Smoky Mountain National Park, Ripley's Aquarium of the Smokies and all of the attractions in Gatlinburg and just a short drive to Cades Cove, Dollywood, Dolly's Splash Country, Dolly Parton's Stampede, Wonder Works, the Titanic and all of the finest restaurants, theaters and shopping in Pigeon Forge.